Mia and Maddy are close. They are sisters and best friends. When Mia turns eighteen she doesn't waste any time and takes the necessary tests to see if she can donate a kidney to Maddy. Unfortunately she isn't a match. Maddy doesn't have much time left and there's only one person Mia can think of wo could donate a kidney, their mother, a woman they don't know and who isn't part of their lives. Mia buys a plane ticket and travels to New York to get Maddy the help she needs. Will she succeed? Mia doesn't have a specific plan for when she lands in New York. She has a long flight ahead of her and during the journey she meets Jax. Jax is the lead singer of a rock band that Mia doesn't like very much. She only discovers who he is after she's embarrassed herself, but Jax doesn't seem to mind. He's taking a break from his demanding life and could use some honest company. They get along so well that Jax offers to help Mia when they arrive in New York. Should Mia accept this? 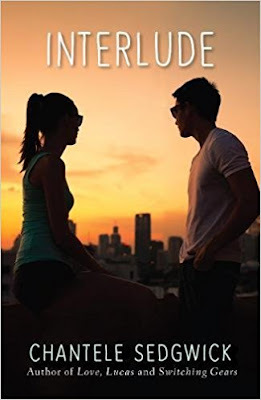 She feels guilty about hanging out with a celebrity and having fun while Maddy is so ill, but Jax does know the city and that might be an advantage. What will happen when Mia finds her mother, will her mission be a success or will it end in tears? Interlude is a beautiful moving story. Maddy and Mia have an incredible bond that immediately warmed my heart. Mia would do anything for Maddy and that means she'll even go to New York to find the woman she loathes, the mother who left them behind without ever seeking contact again. Mia has never traveled by herself and has never been to New York. She's a smart and down-to-earth girl though and that is something that appeals to Jax. He's always surrounded by fakeness and loves how genuine she is. They have an instant connection because they would both do anything for their family and their love for music. Their friendship forms quickly, but feels completely natural, which is something I absolutely loved about their story. I couldn't turn the pages quickly enough to find out if Mia's mission would succeed or not and if she'd give Jax a chance to become part of her world. Chantele Sedgwick writes about emotional subjects in a gorgeous empathic way. I was impressed by the way she describes the different stages of Maddy's illness. Her situation is sad, but Maddy's cheerful personality and big heart are making her a joy to read about. Interlude has many fantastic layers and the story is hopeful as well as compelling. Chantele Sedgwick's amazing descriptions and understanding of her characters' emotions are making it come to life in a fabulous way. Interlude is a brilliant heartwarming book. If you love emotional YA you don't want to miss Interlude. Hi there! 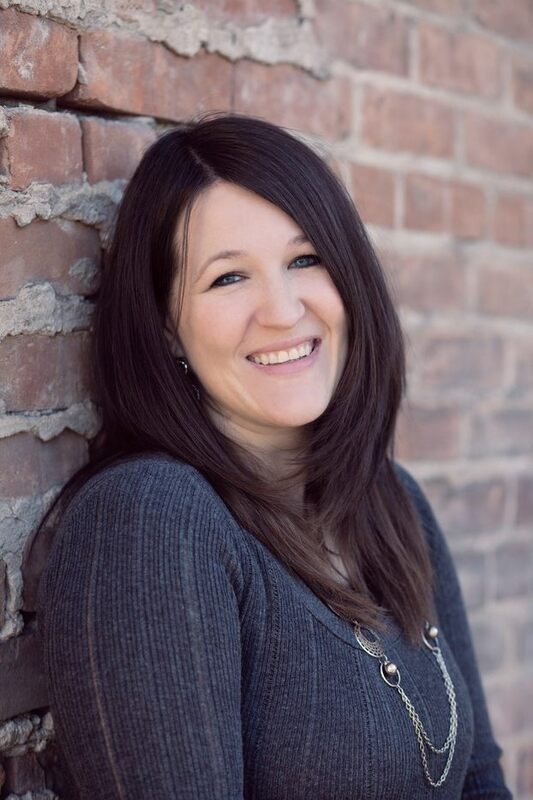 I'm a YA and MG author, harpist, wife to one and mom to four. I love fairy tales, happy endings, Kit Kats and (judging by my bookshelves), buying way too many books. I'm repped by the awesome Nicole Resciniti of the Seymour Agency. I have four little kids, a hubby of 11 years and we live in Utah with a perfect view of the mountains. And the canal behind our house. I love to read. Anything YA I'm there. I like Almond Joys, Kit Kats and plain M&M's. I may or may not have a small obsession with The X-Men, The Lord of the Rings, and Sherlock. I love writing. Young adult fiction is where my muse is found. Contemporary, fantasy, historical. Love it all. 2) In Interlude sisters Mia and Maddy have a very close bond, what was your inspiration behind this connection? I have two sisters myself and we are very, very close. If something like a failed kidney happened to one of them, I'd do everything in my power to make them well and I know they'd do the same for me. 3) Maddy needs a kidney, how did you prepare to write about her terminal illness and the difficulties to find a donor, both emotionally and factually? I researched a LOT. I know a few people who have donated kidneys to family members and I interviewed several of them. The emotional part was hard for me since I've never had something like this happen to me, but thinking about one of my family members having a terminal illness sparked so many emotions and it helped to channel those. I've also lost several family members to other illnesses, so grief also played a big part. 4) Jax is a rockstar who isn’t in charge of his own life any longer, where did you get the idea to write about this? Jax was a fun, yet interesting character to write. I've always wondered if people who get famous really enjoy the fame. I'm sure not all of them are happy and I'm positive there are many who struggle with the celebrity lifestyle just like Jax does. 5) You love YA, how did your love for the genre start? I started reading YA about 16 years ago and just fell in love with it. I love the messed up emotions, the confusion of wondering what comes after high school and the joy and craziness of navigating so many different relationships, especially first love. I just think teens are amazing and I love writing about them. 6) You write impressive stories about teenagers who are grieving, how do you find the ideas for those stories and how do you keep the balance between sadness and happiness? I find ideas everywhere, honestly and I know teenagers go through so many hard things. I like offering a little bit of hope in my words. While some of my books have sad themes, since real life is not always butterflies and roses, I always have to have that hopeful, happy ending, even if everything doesn't work out the way the main characters want them to. There's too much sadness in the world to end a book without a glimmer of hope, you know? 7) What kind of music do you like and which instrument do you play? Oh, I love music so much and like all kinds. I'm a HUGE fan of The Foo Fighters. :) I also love movie scores and musicals. I've played the harp for 27 years and I also play the piano a bit. 8) You have a large family, how do you combine a busy family life with your writing? 9) Family is an important theme in your stories, what does family mean to you and what makes families so fascinating to write about? I love writing about families because I've noticed a lot of books out there don't. And there are so many different family dynamics for me to write about. Families come in all shapes and sizes and in my own life, my family means everything to me. My mom always told me that my friends would come and go, but my family would always be there. I know that doesn't ring true for everyone, since there are so many different situations and circumstances, but it has been that way for me. I know families have struggles and mine isn't perfect at all, but I work hard to make sure my children and husband know I love them, as well as my siblings and parents. I've been very blessed to have the family that I have. 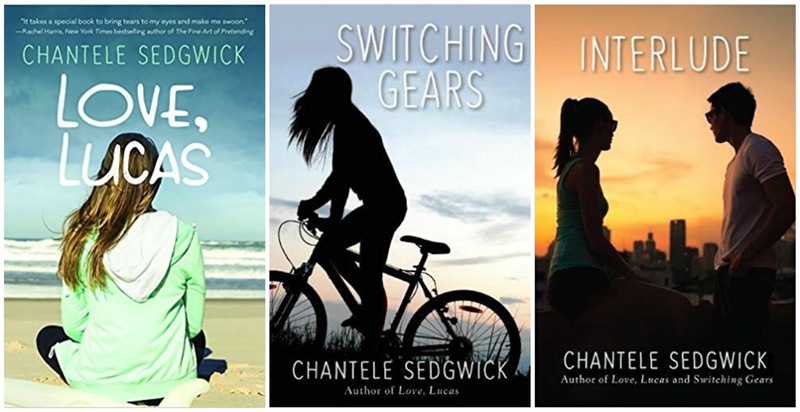 One very lucky reader of With Love for Books will receive paperback copies of Love, Lucas and Switching Gears and a hardcover copy of Interlude by Chantele Sedgwick. Interlude sounds like a beautiful, moving story about family, forgiveness and love. The story sounds lovely and I love how the covers are similar and eye catching. I'd wanted to read this book, thank you for the review and giveaway! Je ne connais pas encore cette auteur mais cet entretien me donne bien envie de la découvrir !! This sounds like a moving, sad and intriguing story that I'd love to read. Sounds like a really lovely read! I enjoy reading about families and these would be wonderful poolside reads. I like the story and would love to read it. This sounds like a great book for me. Fingers crossed!! I love that you play the harp. Oh, I just have to read these. Thank you for posting! these book series sounds great! I hope to read them soon! I cant wait to read switching gears! The covers seem to portray their own story! These books seem really good. I love a good plot abot love! I'm close to my sister so I could see where she would do anything for hers. I'd love to read this story. Ooooh, It'll be interesting to see what the new genre is!